Tina was reluctant to leave her youngest son, Kyle, for the first time at Easterseals’ Camp Fairlee. Thanks to some gentle nudging from her daughter-in-law, she was finally persuaded to give it a chance. All that worry went away as soon as she opened the car door and saw Kyle’s smiling face. While it can be nerve-racking to leave a child for the first time, Tina learned that Kyle, who has cerebral palsy, was not only completely safe at Camp Fairlee’s fully-accessible camp, but also that he was having the time of his life. Camp Fairlee’s summer sessions are available for both children and adults of varying disabilities, including specialized sessions for those with autism. The summer sessions include some of Kyle’s favorite activities such as swimming, arts and crafts, horseback riding, canoeing and so much more. While Kyle is at Camp, Tina is able to spend some time with her brother and sister-in-law in their mountain home. Tina also looks forward to spending time with her two grandsons. That first year may have been nerve-racking, but now going to Camp Fairlee each year is a tradition and something the whole family looks forward to all year. Recently, Camp Fairlee expanded to serve more families every year with new, modern and fully accessible buildings. Along with a much larger dining hall, a larger pavilion welcoming campers, a new health facility and a new activity center, the camp has also added several new accessible cabins. If you are a caregiver who needs a break from the constant demand of caregiving turn to Camp Fairlee. Give your loved one an unforgettable experience by taking advantage of Camp Fairlee’s week-long summer camp experiences, weekend respite program, Travel Trip program and Daily Adventures program. Easterseals’ Camp Fairlee outside of Chestertown, Maryland, is the only facility in the region that provides a typical residential camp experience for children and adults with disabilities year-round. Camp Fairlee offers week-long camp sessions throughout the summer, Travel Trips throughout the year and weekend respite/retreat programs from August through May. 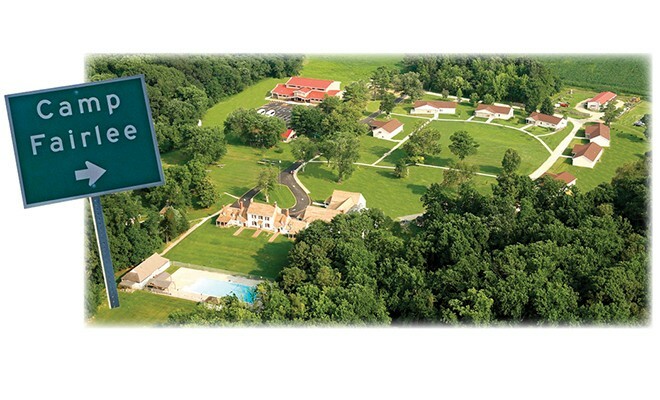 Learn more about Camp Fairlee at www.de.easterseals.com/fairlee or by calling 410-778-0566.